beating Pennington, Oneonta, and Hayden! Congratulations for earning an industry recognized certification in Adobe! Congratulations to our amazing 2019 seniors! swimming as a Blue Raider in the fall of 2019. Connor is the son of Dawn & Mike Barton. 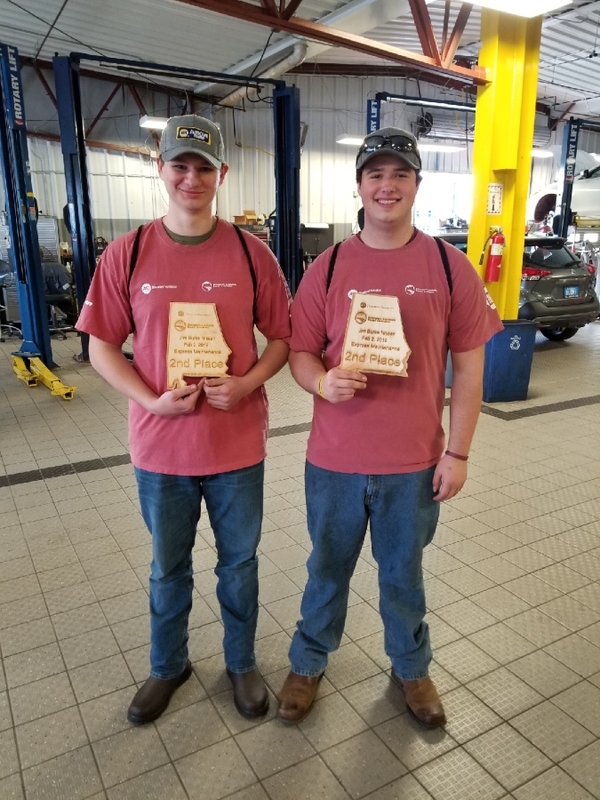 Patrick Green (Southeastern) and Casey Lang (Hayden) for their 2nd place win at the 2019 Birmingham Automotive Dealers Association "Express Maintenance" contest. The contest was Saturday, February 2nd at Jim Burke Nissan. They competed against 9 of the top Automotive Programs in the state.